The gem laser exemplifies the whole range of continuous wave lasers manufactured by Laser Quantum. With key characteristics such as; compact size; low noise (less than 1% RMS); low M2 beam; and excellent pointing stability; the gem laser withstands multiple lab tests to cement its 400,000 hours MTTF performance. All our lasers are tested to the same level, as quality and reliability is at the heart of what we do, and achieving industry-leading lifetimes is part of our mind-set. 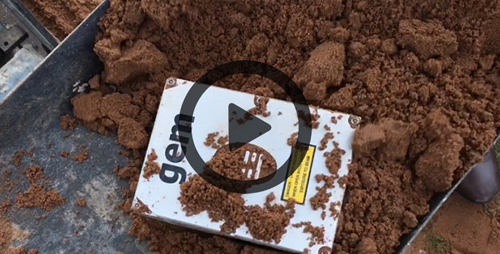 The robustness series of videos, focusing on the gem, serves only to highlight the properties of all our lasers across the whole continuous wave range. Although the tests we have performed on the gem would invalidate the warranty if a customer performed it, we can demonstrate in an entertaining way how robust, and how aligned to our specifications our lasers really are. Our company strives to achieve the best laser performance levels, intricately built, and tested robustly. It is because of this dedication to our customers that we have an enviable volume of repeat business, and customers with many Laser Quantum systems in their laboratory. Our latest video, the gem vs. the wacker plate can be found here - https://www.youtube.com/watch?v=lpzjJ2J6h48. Laser Quantum is headquartered in Stockport, Cheshire, and creates robust and high-quality lasers, using innovative optical technologies. It provides researchers and companies worldwide with the lasers they need to advance scientific knowledge and understanding, and to improve the capability and reliability of their products. With industry-leading lifetimes and specifications, Laser Quantum lasers are suited to numerous research and industrial applications.